Bioshock Infinite launches to record acclaim on March 26, 2013. Preview, reviews, and word of mouth has been positive to downright ecstatic. Developer Irrational Games has been working on Bioshock Infinite for close to five years and the results are easy to see in the artwork and screenshots from the game. Bioshock Infinite creators hope gamers will get blissfully lost in a deep, intricate world set in a stylized dieselpunk vision of the 1893 World’s Fair salute to American Exceptionalism. The long-awaited sequel to Bioshock and Bioshock 2 takes a different tack than the previous games; Bioshock Infinite takes place in 1912 vice the 1960 and 1968 settings of the earlier works. Where the first two games took place in the underwater city of Rapture, Bioshock Infinite takes place in a floating city called Columbia. While players may be intimately familiar with Rapture, the developers felt early on that the excitement of revisiting Rapture was muted for them and likely would be for players as well. Their instincts appear to have paid off, as the accolades for the Bioshock Infinite’s many gaming elements has been numerous and enthusiastic. While Bioshock Infinite launches to accolades, it may not launch to record sales. The PC and console gaming world isn’t the same as it used to be even as recently as five years ago. Online games and free to play titles have taken a chunk out of sales and potential audience for Bioshock Infinite. At a midnight launch sale at a Gamestop in Dallas, there were only ten people waiting for to buy Bioshock Infinite; for similar game launches a few years ago, the line stretched around the block. The video gaming market as a whole is in a sales slump. Still, the Bioshock franchise has sold over nine million copies, so the sequel should clear a couple million from the sales to fans of the dieselpunk video game series. Bioshock Infinite is available on Microsoft Windows (PCs), Microsoft XBox 360 and Playstation 3 game consoles. Retail price for Bioshock Infinite is $59.99, Bioshock Infinite Premium is $79.99 and Bioshock Infinite Ultimate Songbird is $149.99. Amazon has Bishock Infinite listed for $59.96 with the other packages at retail price. Gamestop, Target and Best Buy all have the games listed at retail price. Walmart has a three cent discount on all three titles. Will the Bioshock Infinite launch to industry accolades and enthusiastic reviews lead to a much needed boost in video game market sales? Is this what PC and console gamers have been saving up for? Next week should see a release of sales figures and a preview of things to come for the video game market. 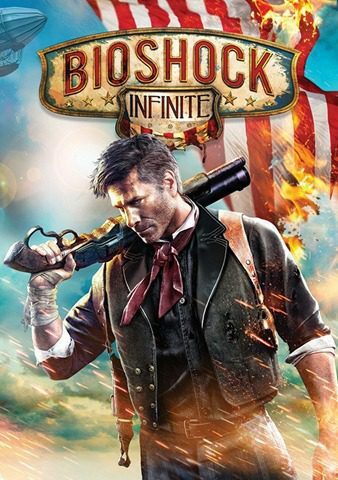 Is Bioshock infinite on your wish list this Spring? Let me know in the comments below!